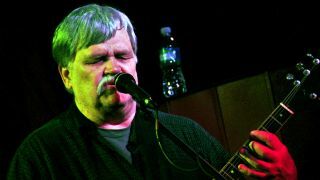 Southern rock guitarist Col. Bruce Hampton has died at the age of 70 after suffering a heart attack. He had been playing at his 70th birthday concert at Atlanta’s Fox Theatre on Monday evening when he collapsed towards the end of the set. He was rushed to hospital but passed away a few hours later. Hampton was on stage with Derek Trucks and Susan Tedeschi when he collapsed, with the Tedeschi Trucks Band later releasing a statement from Hampton’s family on their Facebook page confirming the news. Born in 1947, Hampton formed Atlanta’s avant-garde Hampton Grease Band and they released their first album Music To Eat in 1971. He went on to form other groups including The Late Bronze Age, The Aquarium Rescue Unit, The Codetalkers, The Quark Alliance, The Fiji Mariners and Madrid Express. He also enjoyed a successful career as a guest musician with a wide range of artists, including Tedeschi, who wrote a song about him called Hampmotized in 2002.